Pegasus Literary has a full suite of author services, including a book review, interviews and all reviews published in print Journal. We review books from publishers large and small self-published, and university presses. We wish to connect every book lover with their next great read. Pegasus Literary covers all types of books—from literary fiction, history and biography to popular genres like romance and mystery—and our book reviews, author interviews and special features are very informative for readers. The Company is working to help authors to achieve their dreams by providing a professional and affordable marketing services. The company has already provided a unique opportunity for many authors who failed to get their books properly marketed. Pegasus Literary will adopt the latest digital and traditional marketing ways to help authors.. Our marketing services will take your book to new heights. 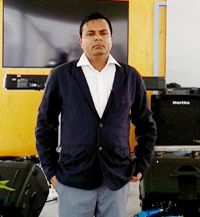 Dr. Santosh Kumar (b. 1946) is a poet, short-story writer and an editor from India; DPhil in English; Editor of Taj Mahal Review and Harvests of New Millennium Journals; several awards; member of World Poets Society (W.P.S. ); member of World Haiku Association, Japan; presented papers in the seminar, interviews as special guest at international literary festival WORDS – one path to peace and understanding Oslo, Norway in September 2008; attended 20th Annual International Literary Festival Druskininkai Poetic Fall and 5th World Haiku Association Conference in Lithuania, Sept 30 to Oct 5, 2009; published poetry in Indian Verse by Young Poets (1980), World Poetry (1995 & 1996), The Fabric of A Vision (2001), The Still Horizon (2002), The Golden Wings (2002), Voyages (2003), Symphonies (2003), New Pegasus (2004), Explorers (2004), Dwan (USA), Promise (Purple Rose Publications, USA), World Haiku 2008 No. 4, World Haiku 2009 No. 5, Taj Mahal Review (2002, 2003, 2004, 2005, 2006, 2007 & 2008). He has also edited sixteen World Poetry Anthologies, and four books of World’s Great Short Stories. He is also the author of a collection of poems entitled Helicon (Cyberwit, India, ISBN 81-901366-8-2), Haiku collection New Utopia (Rochak Publishing, India ISBN 978-81-903812-0-8), NO NUKES: Brave New World of Beauty, A Long Narrative Poem, Songs of Peace & Haiku (Rochak Publishing, India ISBN 978-81-903812-3-9), and Critical Essays in collaboration with Adam Donaldson Powell (Cyberwit, India, 978-81-8253-110-9). He has also edited The Poetic Achievement of Ban'yaNatsuishi (Cyberwit, India, ISBN: 978-81-8253-149-9). 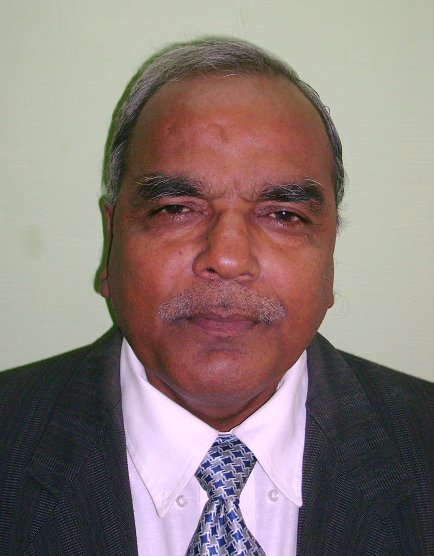 Dr. Karunesh Kumar Agrawal from India has taught in a Post-graduate college of CSJM University; published in Taj Mahal Review, Harvests of New Millennium, Different Worlds: A Virtual Journey and World Haiku 2008 No. 4; member of World Haiku Association, Japan; released 10 new books at international literary festival WORDS – one path to peace and understanding Oslo, Norway in September 2008; attended 20th Annual International Literary Festival Druskininkai Poetic Fall, 5th World Haiku Association Conference in Lithuania, Sept 30 to Oct 5, 2009 and and Singapore Writers Festival 2017. 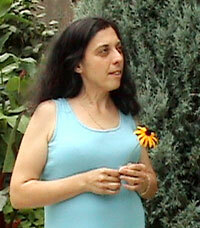 Dr. Rosa Maria DelVecchio is a literary writer residing in Brooklyn, Ohio, and an Associate of the University at CSU. 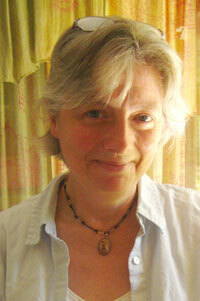 She was asked to join our editorial team in 2011, shortly after our publication of her novella Road Rage. Born in 1960 to immigrants from Abruzzo, Rosa was raised and educated in Ohio, where she made her living by serving 10 years in private sector and over 30 in public service. During graduate school, she taught freshman English at her almaematres, CSU (MA 1984) and CWRU (PhD 1993), where she was active in poetry circles of the campus communities. 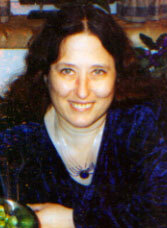 She won first prize in a 1989 poetry contest by Wide Open Press (CA), and her poetry and fiction have been published in several journals since 1987. Among our best sellers is her 2009 poetry chapbook, Voices from the Castle Dungeon. Jean LeBlanc teaches at Sussex County Community College in Newton, New Jersey, USA. She is the executive editor of the Paulinskill Poetry Project, a small press dedicated to the philosophy that all poetry is local. Her poetry has appeared in numerous journals, as well as in her four collections which include Just Passing Through (Paulinskill Poetry Project 2007) and At Any Moment (Backwaters Press 2010), as well as two books with Modern English Tanka Press. Mary Barnet, American poet, published 86 Sonnets for the 21st Century in 2015 & is being nominated for a second time for a Pushcart Prize. Her first book, The New American: Selected Poems (Gilford Press 2006) was nominated for a Nobel Prize. It has been reviewed by Adam Donaldson Powell who calls the poems "carefully tailored pearls." Janet Brennan, in her review of The New American, calls it "intelligent and stunning poetry." Grace Cavalieri says Mary is "a light to many Poets and to the World." Ruchi Agarwal (b. 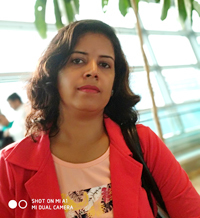 21st June, 1980): originally from Chitrakoot, Uttar Pradesh; author of Hindi short stories; presently working as Digital Manager, e-commerce at Cyberwit.net. She has completed her schooling from Hamirpur and post graduation in Physics from Bundelkhand University, Jhansi. She is engaged in writing short stories since college days and her writings were appreciated by her friends and teachers.